When most people think of satellite phones, they picture huge, clunky devices that went out of style with the early 90s. But they’ve come a long way, and there are actually a lot of situations in which they can be extremely useful. We’ll take a look at a few here, as well as discuss some of the options for buying your own sat phone. Why Use a Satellite Phone? In the days of ubiquitous smartphones, why would you ever need a satellite phone? In short, because cell towers aren’t always reliable. If one gets knocked out and others gets flooded with calls in the case of an emergency or a disaster, the network can quickly become overloaded. Or if you’re in a particularly remote area — deep in the mountains or desert, out at sea, or very far north or south — you might not be able to communicate with a tower, leaving your cellular phone useless. A satellite phone solves that problem by receiving coverage almost anywhere in the world. There are different satellite networks, but most of them cover most of the world’s landmass, with some even providing good coverage at the north and south poles. No matter where you are, you should be able to get at least enough reception to make a call. This is why sat phones are popular among adventurers, militaries, and sea-farers. Another group that often buys sat phones is survivalists and off-gridders — people who are prepared for the end of the civilized world Apps And Smartphone Equipment To Take With You Into The Zombie Apocalypse Apps And Smartphone Equipment To Take With You Into The Zombie Apocalypse Technology failing to work remains the most ridiculous genre trope of the zombie apocalypse. We've seen many disgusted protagonists sneeringly discard ominously "dead" phones: That's because people in movies do not know much about technology.... Read More as we know it. A sat phone provides a means of communication that will work even if the world’s cell networks go down—only an immensely catastrophic global disaster of a monumental scale would take down the satellite networks as well as land-based cell networks. And finally, if you’re concerned about your communications being eavesdropped upon Top 5 Ways You Are Spied On Every Day And Don't Know It Top 5 Ways You Are Spied On Every Day And Don't Know It The chances are you're oblivious to the ways in which you're being monitored almost daily as you go about your business. Learn how to take precautions to protect yourself against these surveillance threats. Read More , a satellite phone is a good way to make sure that your phone is secure. There are plenty of ways that the government can listen in on your cell phone How to Tell If Your Phone Is Tapped: 6 Warning Signs How to Tell If Your Phone Is Tapped: 6 Warning Signs How can you tell if your phone is tapped? And can you know who tapped it? Let's look at the warning signs and what you can do. Read More , but a sat phone is much more difficult. So much so that they’re highly regulated in some countries, and outright illegal in a few others. A sat phone, as you may gather from the name, routes calls via satellites instead of land-based cell towers. There are a number of satellite networks that are used to make calls, but they generally fall into two camps: geosynchronous and low-Earth orbit. Geosynchronous satellites stay above a single point on the Earth, though they orbit up to 20,000 miles away from the surface of the planet. These huge, powerful satellites can provide service for a large area — ACeS provides service for all of southeast Asia with a single satellite. These networks can have a noticeable transmission delay because of the distance of the satellites, and often cover an area that is more limited in latitude than low-Earth orbit networks. Low-Earth orbit satellites are not geosynchronous — their orbit takes them over different parts of the Earth — and they fly lower, usually between 400 and 700 miles from the ground. They orbit quickly, taking between 1 and 1.5 hours to circle the globe. Because these networks have more satellites (Iridium has 66) and can arrange for them to make passes over different parts of the globe, they usually provide more solid coverage through the extreme northern and southern parts of the world. 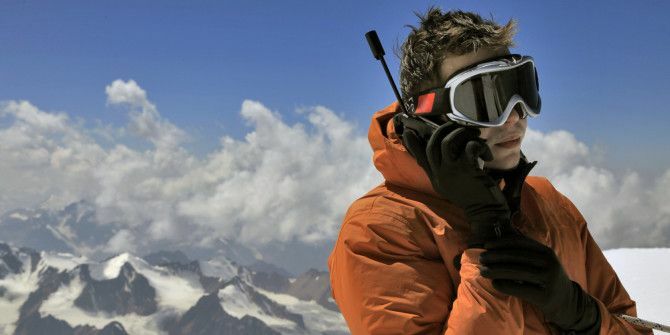 Because low-Earth orbit networks require less power to access, satellite phones that connect to these networks are smaller — generally only slightly larger than a standard cell phone. Phones that connect to geosynchronous satellites need more power, and can be larger in size, more comparable to a laptop. When you make a call, it’s transmitted from your phone to the nearest satellite (you often need line-of-sight connections with the satellites, which is why sat phones work best from outdoors), then beamed through your provider’s satellite constellation and back down to the person you’re trying to call. If you’re calling a non-satellite phone, the call is routed through an Earth station that patches it into the local telephone network. How Much Do Satellite Phones Cost? As with cell phones, you can find sat phones for a wide range of prices, but most models run between $400 and $1000. (there are a few models that are outside this range on both ends, but not many). The InmarSat IsatPhone Pro, a solid model from a respected and reliable network, will cost you $600. The Iridium 9555, a phone from another heavyweight of the industry, is $1000. The latest and greatest from Iridium, the Extreme 9575, is a bit more expensive at $1240. All three of these phones look a lot like older models of standard cell phones — they’re compact and don’t have huge antennas like some other options. In addition to the handset, you’ll have to buy some minutes. While you can buy a service plan or postpaid minutes, it’s definitely most cost-efficient to buy minutes up front. But it’s still going to be expensive. The effective rate of a 500-minute Iridium plan is about $1.45 per minute. And because it’s only valid for a year, you’ll be out $725 if you never need to use your sat phone. Thuraya, on the other hand, sells units, and has varying rates for different calls. For example, if you’re calling another Thuraya phone, you’ll pay one unit per minute. Most countries in the world are 1.5 units per minute. 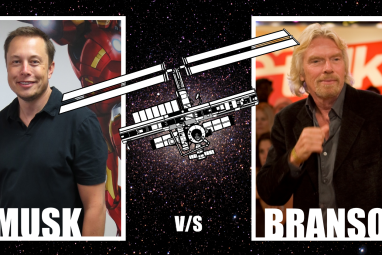 Calls to other satellite phone providers are 8 units per minute. A unit costs a little over a dollar. You’ll find that with most providers, calling another provider is quite expensive. Receiving calls can be very costly as well, especially if it originates from a landline; fortunately Iridium won’t charge you for receiving incoming calls on your satellite phone. Using an internet connection can be extremely expensive, though sending texts is usually fairly affordable. Using a sat phone costs a lot of money. But if you don’t have any other way to get in contact with someone, it might be worth it. Buying a satellite phone isn’t nearly as hard as it once was—many camping and adventuring stores now stock a model or two. Amazon sells a wide range of satellite phones, and there are a few specialty websites, like BlueCosmo and SatPhoneStore.com, that sell a variety of phones and plans. If you’re serious about buying a phone, checking out one of these websites is a good way to get started; you’ll find useful information as well as details on the pricing of different companies’ plans. If you’re headed out on an adventure where you’ll be far out of range of cell towers, or you just want to be prepared for the worst Top 5 Survival Blogs To Read If You Hope To Survive The End Of The World Top 5 Survival Blogs To Read If You Hope To Survive The End Of The World So what happens when our world experiences some sort of apocalyptic disaster that renders modern civilization incapable of sustained existence? Or, I guess the more pressing question is, how are you going to survive? If... Read More , a satellite phone will help make sure that you can stay in contact with the outside world. They’re expensive, and they don’t provide the best quality communication, but in an emergency or a disaster, having one could be a lifesaver. Do you have a satellite phone? What do you use it for? Do you have any other buying tips? Share your thoughts below! 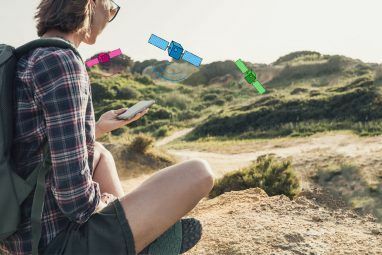 "When you make a call, it’s transmitted from your phone to the nearest satellite (you often need line-of-sight connections with the satellites, which is why sat phones work best from outdoors"
Not only will satellite phones work best outdoors, they won't work at all unless the user is outside with a direct line of sight to the satellite constellation (network) This is true across all L-Band Frequency networks (Iridium, Inmarsat, Thuraya, Globalstar and Lightsquared). The satellite phone transmission simply doesn't work through mass. The exception would be if a user had an external antenna that was on the roof of their car or building. It's also feasible that someone could get a signal, albeit weak from out of a window that doesn't have any tint. As you mention, a handheld phone transmitting via a geosynchronous satellite, require more power so typically the handsets are bigger, like the iSatPhone pro from Inmarsat. It's referred to as the "brick" in the industry. Nearly too big to fit in any pocket. However, Inmarsat most recently has released another iSatPhone which is smaller and much more modern looking of a satellite phone. The iSatPhone pro 2 can connect to the satellite network in under 45 seconds which is pretty fast compared to other handsets in the marketplace. I'm impressed with your level of research. Keep it up! Thanks, Colin! I really enjoyed researching this one—it's a topic I wasn't super familiar with at the outset. Very interesting! Speaking of sat phones, I was just applying for an Indian visa and there were a lot of warnings in the embassy about how sat phones are illegal there. Any idea why they're so strict on them? In my research, I came across a few countries where they're illegal, and a number of others where they're heavily regulated. From what I understand, they're much harder to surveil than cell phones, because a lot of cell phone observation comes from cell towers. You can track movement based on information from the towers, and your calls and texts and things generate metadata. As far as I know, governments can't get those sorts of things from sat phones. Or they can only get very little data. They're illegal in many countries where there are rebel groups or political turmoil, I noticed. Basically it's illegal to use a sat phone without permission. You can have it, but you'll need to apply for permission from the Dept. Of Telecomm . Possession without a permit is not allowed. This is basically because of international terrorism threats, etc. Thanks for the info, Mateer! That's a great explanation of why they make some governments nervous. Various countries who have strict information control agendas have this policy in place, for example, China, Cuba, Iran, North Korea, etc. Some countries, simply do not allow entry of the phone and will confiscate it on arrival, while others, such as China, allow you to get a permit in advance to bring it in the country. If you will be travelling internationally, I would recommend you verify the satellite phone restrictions/requirements for that particular country in advance. Unfortunately not! If satellite phones let you call for free, they would be a lot more popular. However, someone still has to put the satellites in the air and route the calls, so there's always going to be a service provider. 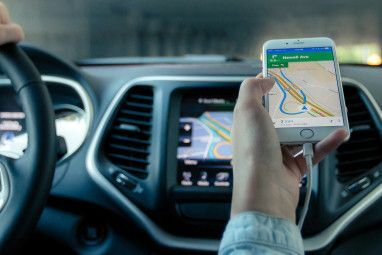 Smartphone vs Sat Nav: Should You Buy a Dedicated GPS Device?